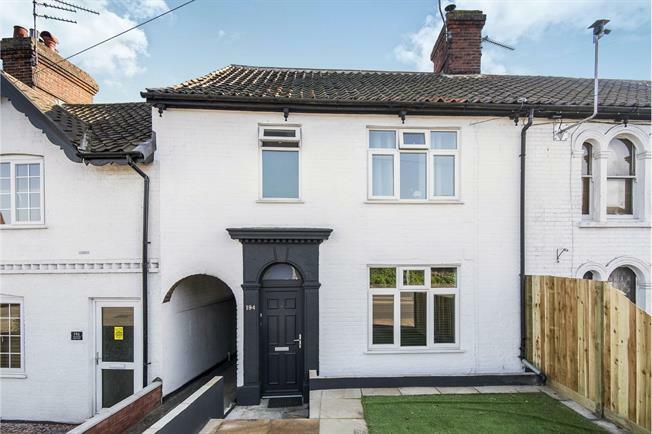 3 Bedroom Terraced House For Sale in Norwich for Offers Over £200,000. This Three bedroom property is a " Must See". The property has been completely renovated to a extremely high standard by the current owners and offers a contemporary feel. The property consists of a hall entrance with doors and stairs off, there is large lounge to the front of the property with a wood burner. There is a fantastic dining room, great for entertaining with doors to a garden room area ideal for al fresco dining. The kitchen has been completely refurbished and has a breakfast room with patio doors to the enclosed garden to the rear. To the first floor there are three bedrooms and a family bathroom. There is parking to the front of the property.